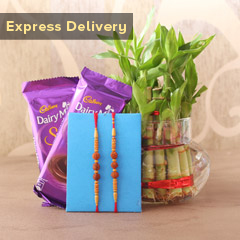 • Chawal and Roli Do you want to gift four of your loving brothers something healthy? So, this combo is perfect for you! 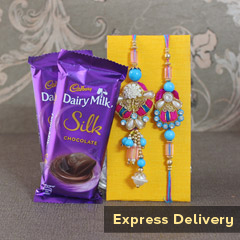 It has dry fruits along with four beautiful Rakhis and it will never be a bad choice, if you want it to show your love and care like never before. Just go for it! !